SAN JOSE (Legal Newsline) - The U.S. Judicial Panel on Multidistrict Litigation has decided to consolidate more than a dozen actions related to the Anthem medical data breach that occurred earlier this year. The seven-member panel issued its four-page transfer order Friday. “After weighing all relevant factors, we select the (U.S. District Court for the) Northern District of California as the transferee district for this litigation,” wrote Sarah S. Vance, chair of the panel. The data breach, which occurred over the course of weeks, wasn’t disclosed by Anthem Inc. until Feb. 4. Criminal hackers broke into Anthem’s servers and potentially stole more than 37.5 million records that contain such personal information as names, birthdays, medical IDs, social security numbers, street addresses and employment information, including income data. According to Anthem, the breach extended into multiple brands it uses to market its health-care plans, including Anthem Blue Cross, Anthem Blue Cross and Blue Shield, Blue Cross and Blue Shield of Georgia, Empire Blue Cross and Blue Shield, Amerigroup, Caremore and UniCare. The MDL panel noted in its order that 11 of the more than 100 actions are pending in the Northern District of California. “This district thus presents a convenient and accessible forum with the necessary judicial resources and expertise to manage this litigation efficiently,” Vance wrote. The order affects at least 17 class action lawsuits: seven pending in the U.S. District Court for the Southern District of Indiana, five in the Central District of California, and one action each in the Northern District of Alabama, the Eastern District of California, the Northern District of California, the Northern District of Georgia and the Southern District of Ohio. But dozens more could be transferred into the MDL. “On the basis of the papers filed and the hearing session held, we find that these actions involve common questions of fact, and that centralization in the Northern District of California will serve the convenience of the parties and witnesses and promote the just and efficient conduct of this litigation,” Vance wrote. All of the actions are putative class actions, many of which are nationwide in scope, the panel noted. “Centralization will eliminate duplicative discovery, prevent inconsistent pretrial rulings, particularly with respect to class certification, and conserve the resources of the parties, their counsel and the judiciary,” Vance explained. 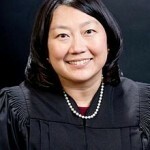 District Judge Lucy Koh will preside over the matter, according to the panel’s order.